Kate Spade Canada is having a surprise sale today, July 27, 2016 only where you can save up to 75% off select accessories including hand bags, totes, backpacks, wallets, cross body bags, and so much more! Keep in mind that the prices listed are in USD. For example, you can get this Sawyer Street Margareta bag for only $99USD (was $298). It comes in three different colours: black and cream, indigo and cream, as well as sweetheart pink and white. Take note that this item is final sale; there are no returns or exchanges. Kate Spade Canada has $10 shipping to Canada. 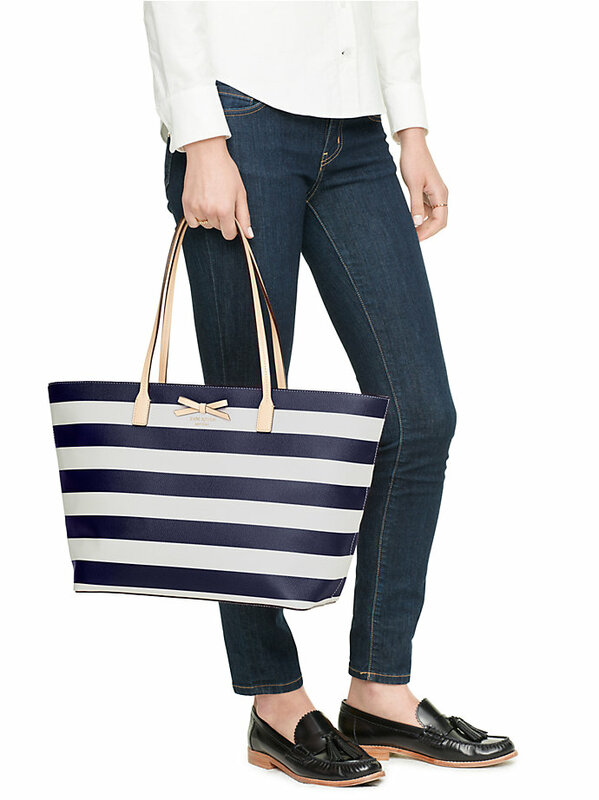 Click here to shop at Kate Spade Canada. Are these prices in Canadian funds or US?